Porcelain Veneers are among the most popular means of improving the appearance of your teeth and their popularity is on the rise, especially among celebrities and public figures eager to have a perfect smile. The truly remarkable results offered by this cosmetic treatment is also making Porcelain Veneers more and more popular among the average citizens as well. However, not everybody completely understands the full costs and implications of using veneers and the decision to opt for such a measure should not be taken lightly. Below, we will take a look at what porcelain veneers are, what they do, pros and cons, costs, and other characteristics that every potential veneer user should know. In general terms, veneer is used to cover another surface for decorative or restoration purposes. In dentistry, veneers are custom-made coverings, like a shell, which are applied on the outer surface of your teeth. Dentistry veneers can be made out of composite material or porcelain, the latter being superior in many aspects, including durability, lifetime, and appearance. As such, porcelain veneers are becoming more and more popular. The good results they offer sometimes make them more enticing than tooth whitening or other dental cosmetic procedures. Should you have an orthodontic condition, braces could be recommended first, until your teeth assume a correct position. The porcelain used by dentists is a special dental type, which is extremely durable. After receiving instructions from your dentist, a specialized technician will mold the porcelain into shapes that precisely match the form of your teeth. You will also be able to choose a color for your porcelain veneers, ranging from natural enamel color to “Hollywood white”, a type of shiny white frequently used by celebrities. If the entire procedure goes by the book and the dentists and technicians know what they’re doing, the results can be quite spectacular and your new smile will be straight out of a chewing gum commercial (there’s a high chance those actors are actually using porcelain veneers). Porcelain Veneers Procedure – What Happens? Veneers can be applied on one or more teeth, depending on the dentist’s recommendation. Once the veneers have been prepared in conformity with the specialized instructions given by your dentist, you are ready to undergo the procedure. 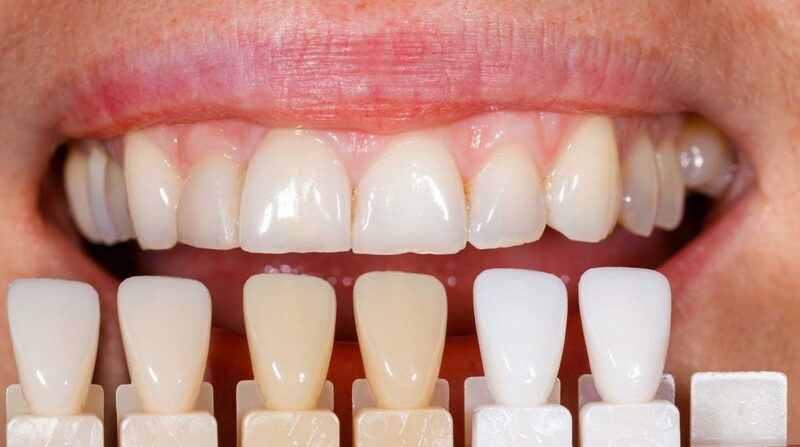 It is paramount to mention that applying veneers on teeth is not reversible, due to the specific technique used to ensure that the material will stay in place. As such, it is very important to take this into consideration before making the decision. Once the veneers are in place, they cannot be removed. They may require replacement at some point, but keep in mind that any tooth undergoing such a procedure cannot recover its initial state. 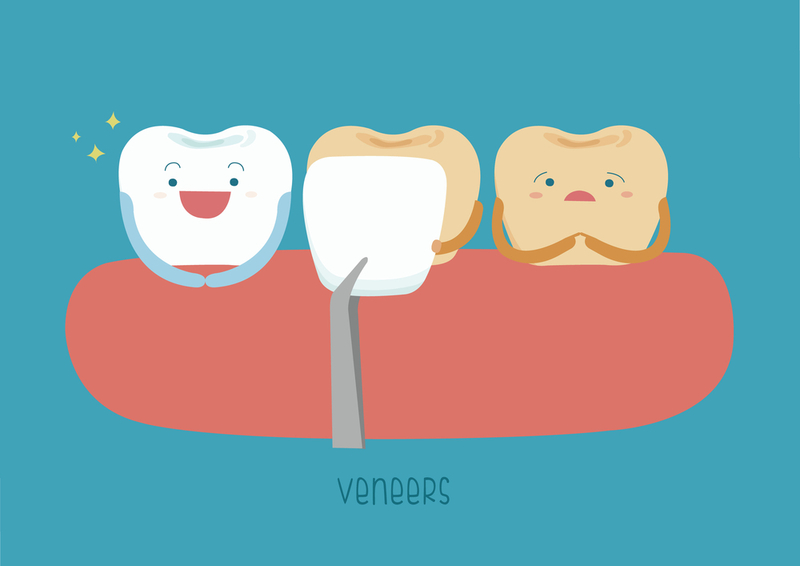 Applying a veneer implies the removal of enamel from the front of the respective tooth. This usually amounts to about half a millimeter of enamel being removed. The purpose is to ensure that the respective tooth (or teeth) maintain their original form and volume. The removal of a layer of enamel can be quite painful, so an anesthetic is usually recommended. 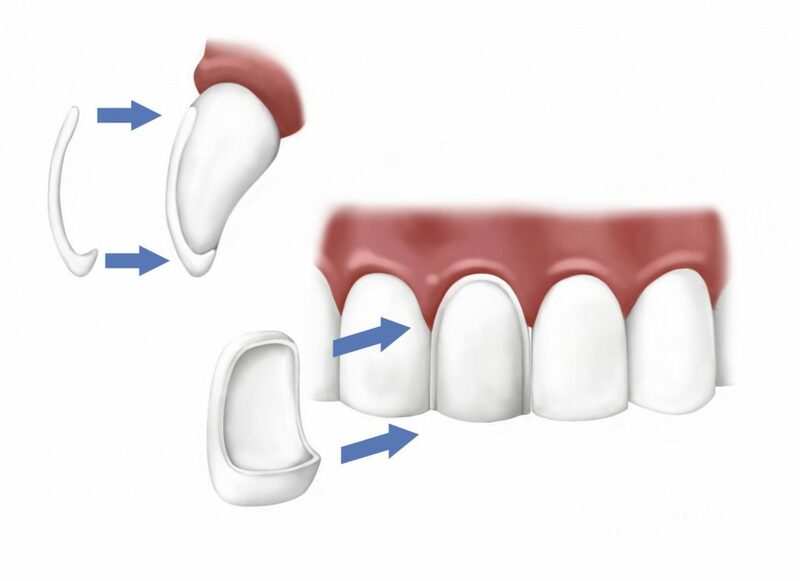 Preparing the tooth for veneers is much like preparing a wall for a new coat of mortar, so the dentist will perform a series of other operations to ensure that the veneer can be properly cemented. Finally, the veneers will be set in place and the special cement used to fix them in place will be cured rapidly using a special beam of light. What Problems Can Porcelain Veneers Solve? Worn teeth. Teeth lose enamel over time. Depending on the natural strength of your teeth, your food habits, and your lifestyle, you can lose a lot of or little enamel as time passes. If your teeth are severely worn down, the use of veneers is an excellent solution to restore your smile to its former glory. Misaligned and irregular teeth. Veneers can certainly tackle these types of dental conditions, though it’s worth considering whether orthodontic treatment could also do the job. Severely discolored teeth. Some types of dental treatment (nerve removal for instance) can cause a serious and sometimes irreversible discoloring of teeth. In this case, the use of veneers can be beneficial, especially if the condition affects one or more of your incisors or canines, thus impacting your appearance. They can fully restore your teeth to have a flawless appearance. Porcelain veneers look very impressive and will make you want to smile as many times as you can. Your teeth will look exactly like the healthiest set of teeth on the planet. Porcelain veneers are very durable. 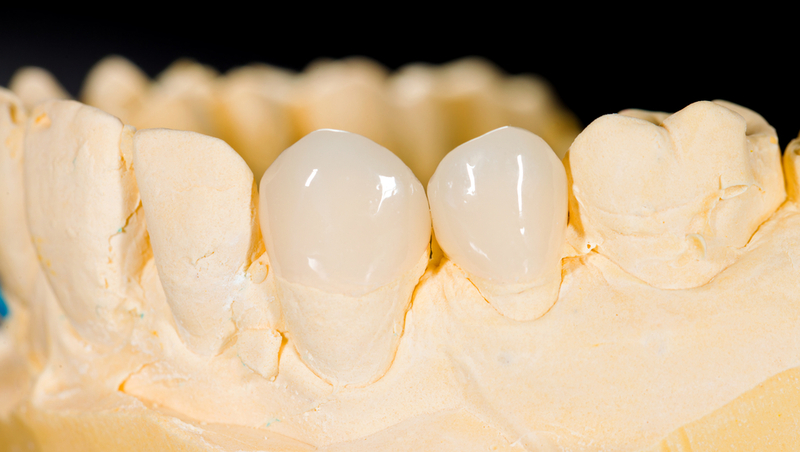 The special porcelain used for veneers is tough and can tolerate almost anything you throw at it (food that is). Brushing your teeth will continue as usual, and you will be able to fully enjoy all your favorite dishes just as before. Porcelain is also resistant to stains, and it would not limit your ability to enjoy a cup of coffee or a glass of red wine. You can choose a color. Porcelain veneers are custom-made, and you will be able to choose a color that best matches your looks. Your gums tolerate porcelain. The material used for veneers is tolerated by your gum tissue, so there is only a small chance that you’ll get secondary effects, inflammations or other unpleasant surprises. Applying veneers is not reversible. Once veneers have been applied, there is no way you’ll be able to go on without them at some point. Considerable amounts of enamel have been removed, leaving your tooth vulnerable without its artificial outer shell. Should veneers fall off or need replacement, you will have no choice. If veneers suffer damage, they must be replaced and cannot be repaired. Porcelain veneers are expensive (more on this in a separate section below). Your teeth will be more vulnerable to temperature fluctuations or extreme temperatures, due to the removal of enamel. Though very durable, veneers can still fall off or crack. The porcelain will still not match the strength of your natural enamel and habits like opening seeds between your teeth, biting your nails and chewing on stuff can give you a nasty surprise. Veneer-covered teeth are not impervious to disease and decay. As veneers only cover the front part of your tooth, oral hygiene is still a must and should be observed diligently. If you are a teeth-grinder, veneers are also not a good idea. If you’re wondering how long porcelain veneers last, know that they do not last a lifetime, even if you take good care of not damaging them. They can last between five and ten years, depending on numerous factors. After this time, they will need to be replaced, which will entail further expenses. Depending on the condition of one’s teeth, the dentist can recommend either veneers or crowns. Remember that veneers only cover the front side of the tooth. The back side, also known as the lingual surface, remains uncovered. By contrast, crowns cover the tooth in its entirety. The health of the lingual surface. Should the back side of the tooth suffer from decay, or is susceptible to decay, crowns would be a better option as they would also protect that area. Susceptibility to cavities. If you are naturally more susceptible to developing cavities (which can result from anything from your saliva Ph level to your diet and genes), then veneers would probably be less suitable than crowns. Grinding teeth syndrome (bruxism). For people suffering from bruxism (unconscious grinding of teeth, including during sleep), crowns tend to be more resilient. Status of tooth front enamel. If your enamel is severely worn, or if parts of the root are exposed, crowns would again be a better solution. Veneers require a layer of enamel to remain on the tooth because it keeps the attaching cement in place. The prices of veneers are variable, depending on many aspects, from location, doctor, materials and procedure specificities. In general, porcelain veneers cost per tooth can range from $500 to $1,300. Also, be advised that the cost of veneers is not usually covered by insurance, though some companies do cover a certain percentage of the cost. Make sure to check which case applies to you. Porcelain veneers are certainly a good solution if your teeth are worn or stained but without other serious conditions. The aesthetic results are remarkable and will do a lot to boost your self-esteem and perhaps the quality of your life. However, there are certain situations where veneers should not be used, and it’s important to keep in mind that it’s an irreversible step.